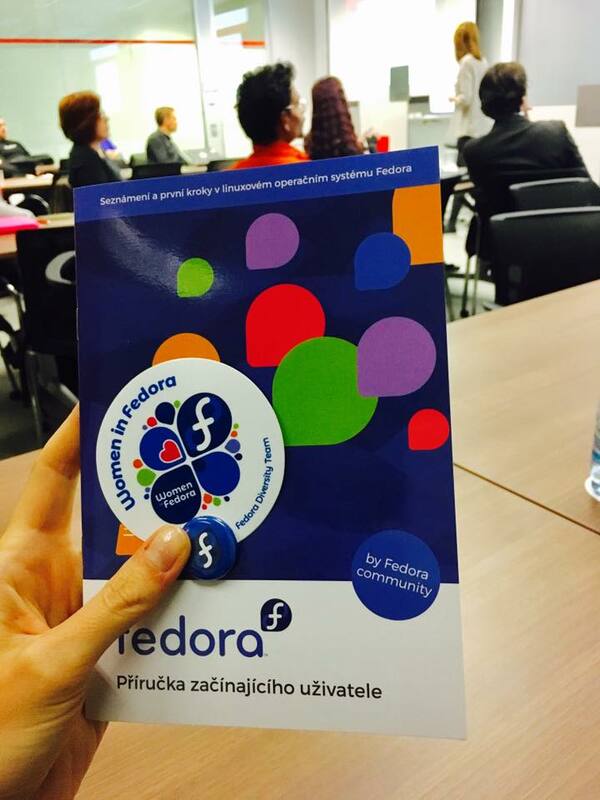 The Fedora Women’s Day aims to inspire, educate and connect women and people from underrepresented communities interested in open source software, including Fedora Project. Join us for presentations; information and discussions about contributing to open source and Fedora, career opportunities in open source and how to pursue them; and networking opportunities including connecting with female contributors in open source communities. After the break we had Sabina talk about Diversity and Inclusion in Red Hat, embracing differences as diverse and inclusive meritocracy. Bara introduced Czechitas, a non-profit organization teaching girls about programming, data manipulation and other IT things. Tereza closed the event with her talk about internships within Red Hat and mentioned that we are also quite diverse in age, with the youngest intern only 16 years old. We did have one technical issue during the event, somehow the HDMI projection died, but we were all able to use “the other wire” instead so it was okay, with a few minutes of a delay trying to get the HDMI working. Big thanks goes to Matej Hrusovsky who helped me with organizing the event, TPB-B Facilities who prepared the room and took care of the guest building access, and our IT Petr who explained to me the magic of the meeting room and microphones. Another big one to the speakers, your presentations were awesome!